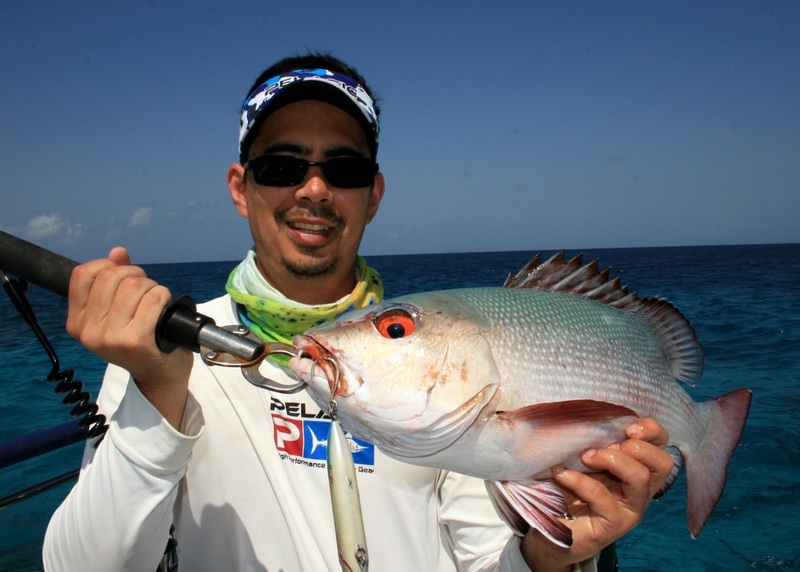 For larger Red Bass on the outside of offshore reefs you should gear up with heavy tackle; at least 50lb braid with a medium heavy spinning outfit. 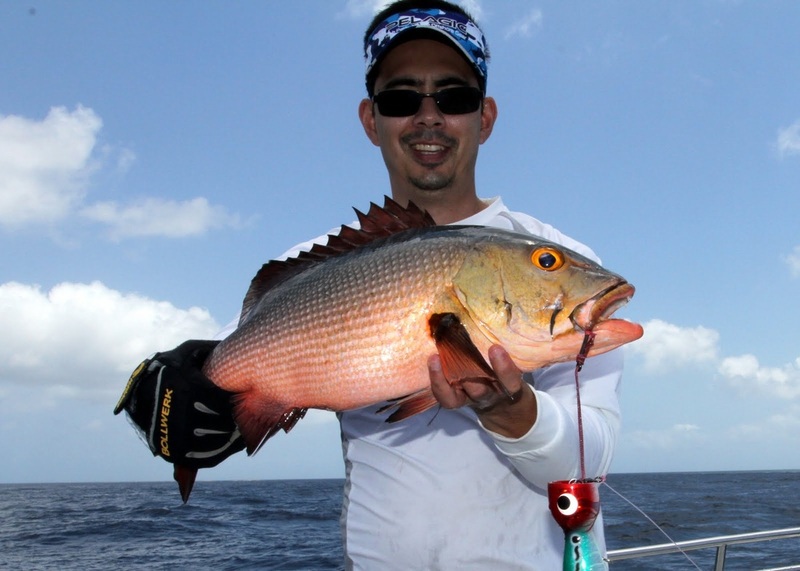 Nearshore or on shallow reefs you can handle smaller ones with 30lb braid and a Daiwa Certate 3000 spinning reel but any Red Bass over 5lbs will give you quite a struggle on that size tackle. Click here for tackle recommendations. Red Bass readily eat both bait and lures, but I have caught most of mine on lures. This might be one of those fish for which lures consistently work better than bait because these fish are aggressive and like to chase things. 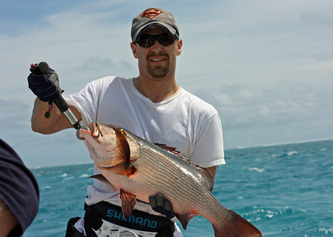 Red Bass like lures presented slightly slower than the Trevally that often inhabit the same waters. Poppers such as the Sebile Splasher and Heru Cubera work well. Fish them with loud pops in between pauses. As always with poppers make sure you do not set the hook until you feel the weight of the fish on the line. Many times Red Bass will explode on a topwater lure and not get hooked. If that happens pop it another time or two and then pause. Red Bass will often be seen on the surface trying to push each other out of the way to get to your popper. Stickbaits such as the Heru Bobara also work well for Red Bass. The Sebile Stick Shad is a good option too. Fish them slower than you would for Trevally and make sure you pause after each twitch or two. Strikes will almost always happen on the pause. Red Bass can be caught on a variety of live baits such as baitfish or dead baits such as octopus or shrimp. No fancy rigs are needed. I have not caught any on bait so I can’t comment too much on this though. New Caledonia and the Great Barrier Reef are good bets.